It’s no secret — surrogacy can be expensive. For an intended parent using this process to build their family, surrogacy is a big financial commitment. Lots of thought must go into affording the process of surrogacy and ensuring that your family will remain in good financial standing during and after this journey. So, it’s only natural that many intended parents ask: How can I make surrogacy more affordable? Because surrogacy involves so many different parts, there are actually more options for cutting down costs than you may originally think. The ultimate decision of how you reduce your surrogacy costs will always be up to you and your surrogacy professionals, though, as some of these cuts can severely impact your surrogacy process to come. To learn more about American Surrogacy’s transparent surrogacy costs, contact our surrogacy specialists today. In the meantime, find a few tips for making your surrogacy journey more affordable below. 1. Consider asking a friend or family member to carry for you. The biggest way to cut down on your overall surrogacy costs is by completing an altruistic, identified surrogacy. When you find a gestational carrier through an agency or another matching program, it’s highly likely that those women expect to be compensated for their services — which is entirely within their rights. However, with surrogate base compensation averaging around $25,000, it can be a huge chunk of your overall surrogacy costs. To reduce these costs, you might find an altruistic carrier, or a carrier who is willing to accept a smaller base compensation. Many intended parent find these women through their own networks. Having a family member or friend carry for you is known as identified surrogacy — and many professionals, including American Surrogacy, offer discounted surrogacy services for intended parents who pursue this path! 2. Shop around for your gestational carrier’s medication. Like many other aspects of your surrogacy journey, there is always the opportunity for you to save money on your gestational carrier’s medical protocol. Depending upon her insurance policy, you may save money by switching to generic medications or ordering them through a different pharmacy. Always discuss this with your gestational carrier and her doctor before making any major medication changes. 3. Consider a frozen embryo cycle, if possible. Depending on your fertility clinic, a frozen embryo cycle may be cheaper than a fresh embryo cycle. There are many reasons for this: egg harvesting and in vitro fertilization processes are not necessary, fewer steps are involved in syncing a gestational carrier’s cycle, and the process is usually less complicated. For this reason, intended parents often pay less for a frozen embryo transfer. If this is a possibility in your surrogacy journey, talk with your reproductive endocrinologist about the costs and which path will result in the best chance of success. 4. Shop around for fertility clinics. In regards to your fertility clinic and reproductive endocrinologist, you may find that you pay less with one professional over another. Of course, many intended parents prefer to continue working with the fertility clinic who completed their previous infertility treatments, and that’s totally understandable. 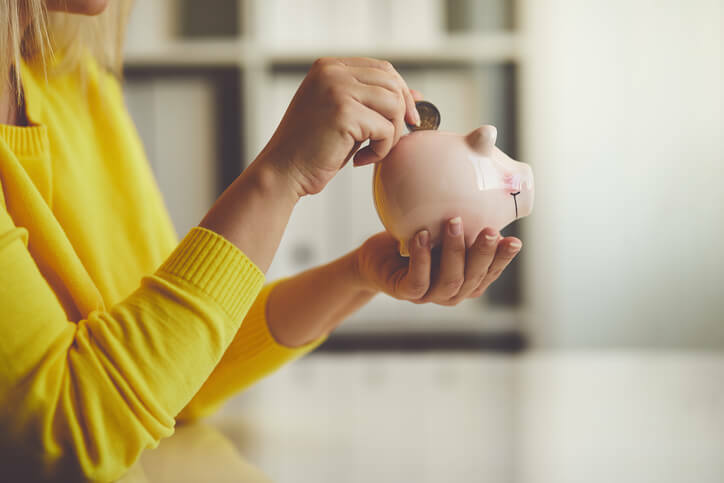 However, you may find that transferring your completed embryos to a different clinic can save you money, especially if you choose a clinic local to your gestational carrier — cutting down on her travel costs and other necessary expenses. 5. Find the cheapest travel options. In most surrogacies, intended parents know about their carrier’s appointments and delivery schedule far enough in advance to make appropriate travel plans. One of the best ways to reduce your overall surrogacy costs is finding the cheapest options for your travel. If your gestational carrier’s appointment is somewhere that can be reached cheaper by driving than by flying, it can help you save money — even if it may be a bit more inconvenient. If you have to fly for appointments, find a budget airline and the cheapest tickets possible. If you are comfortable doing so, consider reducing the number of trips you take to visit your gestational carrier. This will also cut down on your overall surrogacy costs. 6. Consider your gestational carrier’s insurance situation. Some surrogates have comprehensive surrogacy insurance through their existing policies. Others do not. The specialists at American Surrogacy will always complete a thorough insurance review before matching a gestational carrier with intended parents, so you will always know your surrogate’s insurance situation before beginning. If you need to purchase an additional insurance policy for your gestational carrier, shop around. Talk with your gestational carrier, your specialist and an insurance agency to determine which plan can provide the best benefits at the cheapest cost. Make sure to explore all of your options. 7. Have your primary care doctor complete your blood testing and medical screening. As an intended parent, you will need to complete certain screening before being approved for the surrogacy process. You could choose to complete those with a fertility specialist, or you can potentially save money by completing this screening with your primary care doctor during your yearly wellness visit. Many insurance policies will fully cover this visit, where they may not do the same if you complete the screening with a specialist physician. 8. Talk to an accountant about tax break measures. While there are no tax breaks for surrogacy as there are for adoption, there are still accounting moves that can be made to reduce your overall surrogacy costs. An experienced tax attorney or accountant can help you through this process. You might consider putting the maximum amount possible into your Flex Spending Account — funds that you can use for medical expenses without them first being taxed. You may be able to write off some of your medical expenses when submitting your taxes for the year. Talk to an accountant about the steps possible for your situation. 9. Be picky about the services you need. For many intended parents, surrogacy is the last chance they have for a biological child — and they want to do everything they can to make it as successful as possible. That’s understandable, but it may not be the best mindset if you are simultaneously looking to reduce your surrogacy costs. Many fertility clinics and reproductive endocrinologists offer different kinds of screenings throughout the surrogacy and in vitro fertilization process. Not all of them may be necessary for your particular surrogacy situation. If you are looking to save costs, talk to your surrogacy specialist and your reproductive endocrinologist to determine which of these tests are absolutely necessary — and save money by turning down the ones you don’t need. 10. Consider an independent surrogacy journey. Finally, another way you can consider cutting your surrogacy costs is by completing an independent surrogacy journey. Surrogacy agencies can be expensive, and choosing to complete the process on your own (with only the assistance of a surrogacy clinic and surrogacy attorney) can save you from paying those agency fees. However, don’t jump into an independent surrogacy too quickly. Unless you do proper research ahead of time, you may find yourself paying more for surrogacy services a la carte than with a flat rate fee from an agency. There is also the emotional aspect; completing an independent surrogacy may save you money, but it also requires more responsibility and often brings more stress than working with an agency. As an agency, American Surrogacy is always dedicated to providing the best surrogacy journey for its clients. This includes being transparent about our agency fees and answering any questions you have before starting. To learn more about the benefits of working with our agency, please call our specialists at 1-800-875-2229(BABY). Next Next post: Should I Go Independent to Save My Intended Parents Money?